So let’s start with the Superdrug Aloe Vera Mud Mask. This is a firm favourite in my skincare collection and have been using this mask on and off for about 2-3 years now. 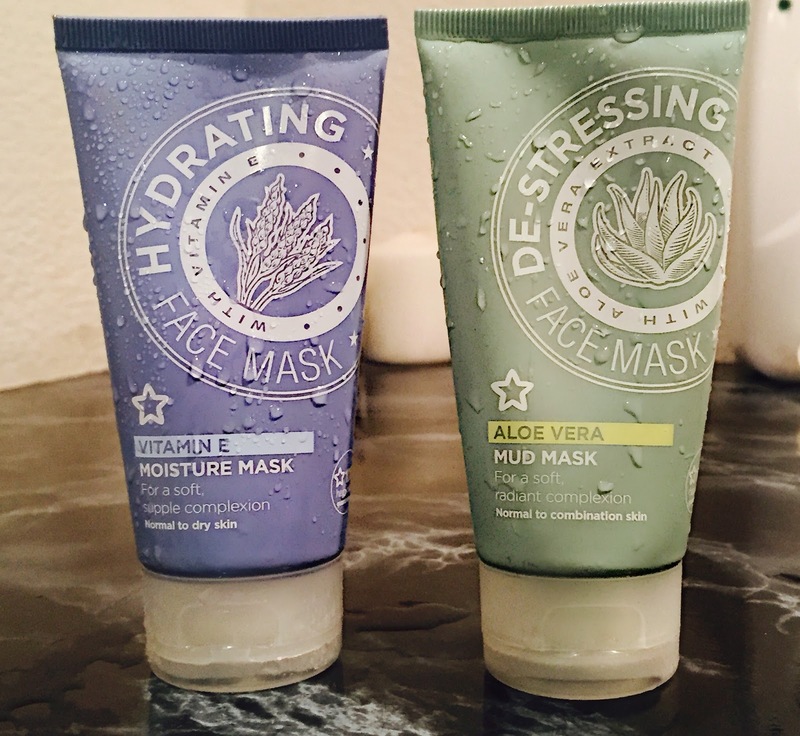 The mask promises to de-stress and calm you and your skin through the use of Aloe Vera while the Dead Sea Mud gives you that deep cleanse and removes all the nastiest from your pores – and it really does just that. After using this mask my skin is left feeling so clean and fresh and puts me in the mood for a relaxing evening. I would say that when I first apply the mask I do feel a slight tingling sensation on some of the problem areas on my face but I am never left with any breakouts or bumps. Might just be the mask doing it’s job and clearing impurities but either way I’m always happy with the end result and once the tingling fades I feel calm and relaxed. Now moving onto the Vitamin E Moisture Mask.. This was such a huge let down for me. Recently I visited Dermalogica and had my face mapped to find out what the real state of my skin might be at the moment. The lovely women I spoke to let me know that whilst my skin was classed as combination it wasn’t the traditional oily T section and dry combo I was more Oily and Dehydrated so she advised I added more moisture into my skin and hydrating products into my skincare routine. That’s the sole reason I decided to pick this up and give my skin exactly what it’s been crying out for. But unfortunately I was far from impressed. First of all the texture and consistency of this mask is not up my alley. I’m not sure if it’s because I’m use to thicker clay masks or what but this mask felt very watery and runny and was so difficult to work with. I tried to apply it using my usual method and with an old foundation brush but it just would not sit. I could feel the mask running down my face and moving even when only a thin layer was applied. When I finally got it to stop sliding around it took FOREVER to dry into a mask consistency and felt more like a cream or serum. Not the relaxing pamper I was going for. As for the results, I couldn’t see any noticeable change to my skin after using this product but maybe that’s because after around 20 mins of it not drying I gave up and took it off. Either way I don’t have the patience for this mask and don’t think it was what my idea of a relaxing night in consisted of. Generally, for the price of only £2.59 you do get a substantial amount of product and the packaging and practically of the tube makes it great for regular use. 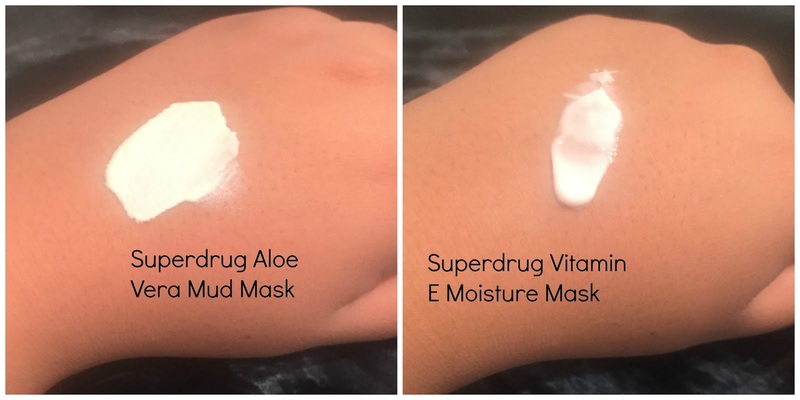 But as mentioned, whilst the Aloe Vera Mud Mask does the trick and is such a pleasure to use I found the Vitamin E moisture mask was a lot more difficult to work with and wasn’t as much of a luxury as I expected. If anything, pick up any of the mud masks in the range and I can personally vouch for the Exfoliating Superberry Mud Mask which has been in and out of my basket over the last few years. Next time I see the offer and want a bargain I think the Aloe Vera and Strawberry mask will be making their way home with me. Personally I do love all kinds of fishes because I like healthy food and it is wonderful for my shape. I prefer eat fish after my fitness exercises. Thanks for your information about fish. If you need some college paper essay help writing services can be good for you.